Worldwide, poor nutrition causes nearly half the deaths of children under age 5. Some 155 million children — about one in four — are stunted: Their bodies and brains have been deprived of nutrition over long periods of time, increasing the risk of deadly infection. Some 17 million children are severely malnourished, in urgent need of lifesaving treatment. Without treatment, even children who survive malnutrition face irreversible consequences. Malnourished children are also less likely to attend school or learn normally, even if they are in the classroom. For all these reasons, good nutrition from a young age is crucial for lifelong well-being and reducing inequality — for children, families and communities. A packet of inexpensive, Ready-To-Use Therapeutic Food can be the first step in saving a child from death or future ill health. But giving nutrition involves more than food. Health services, training parents to care for and feed their infants properly and safe water and sanitation all play a vital role. When it comes to saving lives and building futures, UNICEF takes a comprehensive approach. A dollar spent fighting malnutrition yields, on average, sixteen times its value in health and productivity. UNICEF brings hope to children, families and communities in more than 120 countries by providing nutrition leadership and supporting nutrition programs. For instance, UNICEF promotes breastfeeding as the sole method mothers should use to feed their children in the first six months of life because this practice can save thousands of infants — 520,000 over the next ten years. UNICEF combats malnutrition in other ways that reinforce each other. 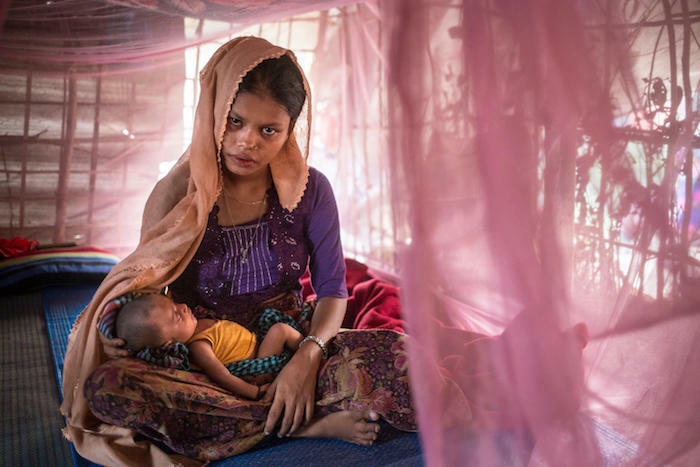 In addition to breastfeeding, UNICEF’s work on nutrition addresses micronutrient deficiencies, nutrition emergencies, nutrition in the prevention and treatment of HIV/AIDS, obesity, nutrition in adolescents and mothers as well as young children and, of course, life-threatening hunger. And UNICEF works on nutrition with partners in other fields like health, water and sanitation. In 2016, to carry out its comprehensive fight against malnutrition, UNICEF fielded 599 nutrition experts in 121 countries around the world. With partners in 71 countries, UNICEF also treated 3.4 million children for severe acute malnutrition (which, if untreated, results in death) and, in 65 countries, provided micronutrient fortification to 8.3 million children. The stories of UNICEF’s impact are as varied as the children we help. For example, UNICEF treated Abdi, whose mother brought him to the Nutrition Stabilization Unit in Burao, Somalia. The 20-month-old had traveled from Ethiopia with his family after their animals died in a drought. Stabilization centers treat children who need health care for complications beyond severe acute malnutrition. UNICEF supports seven Stabilization Centers in Somaliland, in northwestern Somalia. Since January 2017, UNICEF and partners have treated 145,988 children in Somalia for this severe form of malnutrition. Abdi was able to recover with UNICEF’s help. 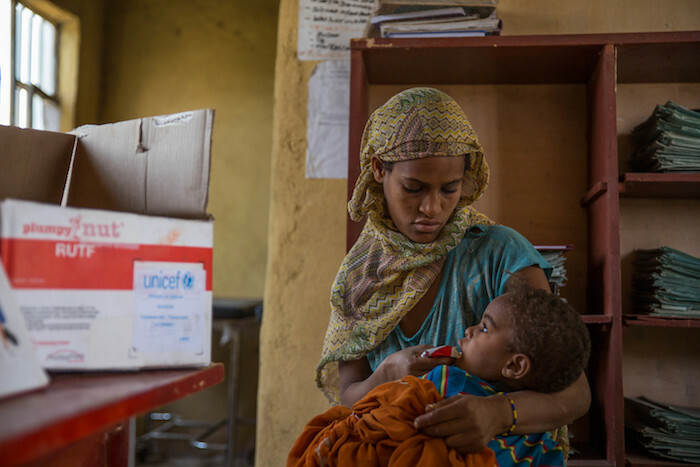 In Madagascar, UNICEF treated 22-month-old Nayarah, whose mother, Nathalie, only 18, had carried her baby 25 kilometers to the treatment center in Ambovombe. Nayarah had candidiasis, an opportunistic infection brought on by malnutrition. Unable to swallow food, she received therapeutic milk along with medicine and care. In Madagascar in 2016, 14,500 children were treated for severe acute malnutrition. Nathalie dreams that Nayarah will finish not only primary school, but secondary school as well. UNICEF also provided lifesaving treatment for 5-year-old Salma in South Sudan. 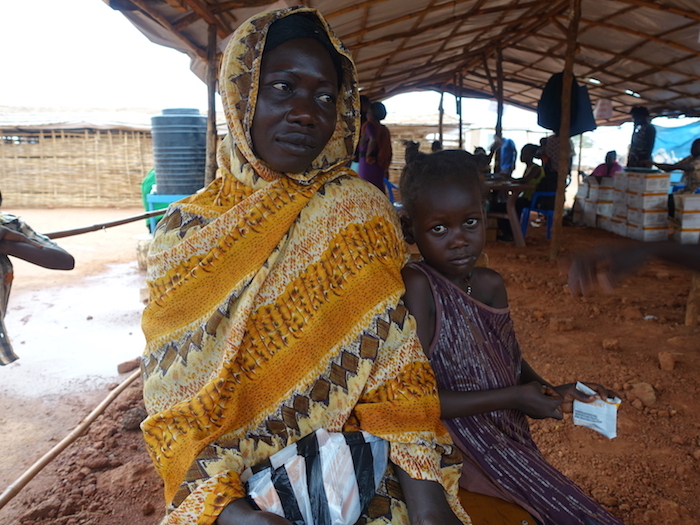 When Salma came to the Wau Site for Protection of Civilians, she was suffering from malaria and severe acute malnutrition with complications. A week of treatment helped her regain some of her health and strength. She was able to leave the hospital, returning weekly to the health post to be weighed and measured and receive vaccinations and therapeutic food. At the post, health workers also show parents how to prepare nutritious meals and how handwashing with soap prevents infections. So giving nutrition also gives hope. Improved nutrition is part of why childhood deaths worldwide have been cut by 56 percent since 1990. With support from generous American donors and partners, UNICEF’s multi-pronged battle against malnutrition will continue to help millions of children around the world to survive and thrive in the decades to come. American kids are like kids everywhere; they need to feel they matter. And nothing empowers a child more than a chance to help others. With UNICEF Kid Power, kids can help end global malnutrition and save lives, one step at a time. Wearing a Kid Power Band — or using the Kid Power App on mobile devices — kids earn points as they play, walk or run. The more kids move, the more points they earn. Points unlock contributions from sponsors and donors to pay for protein- and nutrient-rich Ready-To-Use Therapeutic Food (RUTF) for children suffering from severe acute malnutrition in 10 countries. UNICEF Kid Power started as a simple idea — to connect children’s physical activity to real-life impact and tap into children’s desire to help others. Three years later, thanks to the ingenuity and generosity of Presenting Sponsors Star Wars: Force for Change and Target, Founding Partners Calorie Cloud and the George Harrison Fund for UNICEF and City Sponsors and local donors nationwide, Kid Power has become one of the largest education technology programs reaching underserved schools in the United States. UNICEF Kid Power also defined a new tech category — the Wearable-For-Good®, and TIME Magazine named the new Kid Power Band as one of the “25 Best Inventions” in 2016. At the time of printing, more than 52,000 children have benefited from 8.2 million RUTF packets unlocked by UNICEF Kid Power, while 450,000 people in the United States have had an extra incentive to keep healthy by getting active. Participants have also learned more about the world and their own potential to make change happen. Eight-year-old Lexie offers a great example. When the fourth grader saw that running track added up to therapeutic food packets when she wore her Kid Power Band, she worked to get Kid Power Bands for everyone at her school. Whether experienced as a year-round, tech-enabled school program, or a day-long community event, UNICEF Kid Power is empowering kids where they live, learn and play. For instance, Lily, 13, already very active before joining UNICEF Kid Power, now has another reason to dance. “I want to help kids in need,“ Lily said.